MLK's "Letter From a Birmingham Jail" and other great open letters. 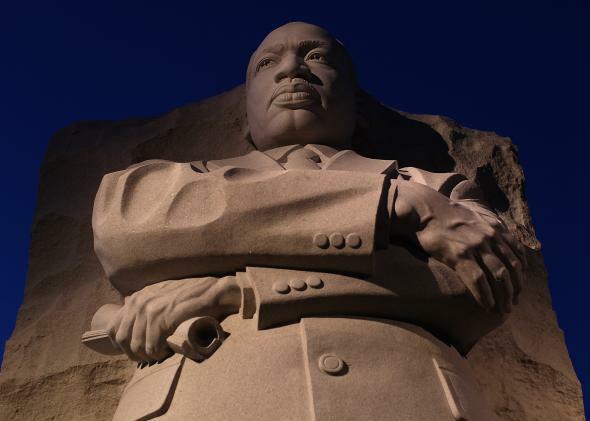 The Longform guide to open letters from MLK, Philip Roth, and others. For daily picks of new and classic nonfiction, check out Longform or follow @longform on Twitter. Download Longform’s app to read the latest picks and follow any writer or publisher, including Slate. On the moral responsibility to break unjust laws. An author asks to amend his entry. On the wonders of being an only child. I commandeered one of these rooms for the purpose of my practicing the clarinet and the viola. This pretty much sums up being an only child to me. Only an only child could afford to take up not one but two relatively esoteric supporting instruments. And when I say afford, I speak not only of the actual cost of lessons. A siblinged child enacts his own insecurity when he picks up the guitar, the violin, the piano, those desperate showboat instruments all yearning to solo. But an only child has no need for these sorts of games. Assured of love and sustenance and space and time, the only child is free to cultivate idiosyncrasy. Davis was imprisoned on charges of first-degree murder. The American triumph—in which the American tragedy has always been implicit—was to make black people despise themselves. When I was little I despised myself, I did not know any better. And this meant, albeit unconsciously, or against my will, or in great pain, that I also despised my father. And my mother. And my brothers. And my sisters. Black people were killing each other every Saturday night out on Lenox Avenue, when I was growing up; and no one explained to them, or to me, that it was intended that they should; that they were penned where they were, like animals, in order that they should consider themselves no better than animals. Everything supported this sense of reality, nothing denied it: and so one was ready, when it came time to go to work, to be treated as a slave. Max Soffar, who has liver cancer, has been on death row since 1981. He’s almost certainly innocent. At some point soon—it could be tomorrow, it could be in two months—Max will begin to deteriorate. According to doctors, he’ll feel severe abdominal pain, he’ll begin to bleed, and he’ll start to lose his mental capacities. He’ll leave death row, his home for 33 years, and make one last trip to Sealy Hospital, in Galveston. Once he arrives, he won’t be allowed any visitors at all, outside of Horne and his associates. As Max lies dying, Anita won’t be able to visit him, nor will his sister Jackie or her children. In other words, Max will die surrounded by lawyers. On the imprisonment of Alfred Dreyfus. How flimsy it is! The fact that someone could have been convicted on this charge is the ultimate iniquity. I defy decent men to read it without a stir of indignation in their hearts and a cry of revulsion, at the thought of the undeserved punishment being meted out there on Devil’s Island. He knew several languages: a crime! He carried no compromising papers: a crime! He would occasionally visit his country of origin: a crime! He was hard-working, and strove to be well informed: a crime! He did not become confused: a crime! He became confused: a crime!